Four ex-SAS ‘mercenaries’ are hired to take down a dastardly, eye-patch wearing ‘Serbian’ warlord and rescue the ‘American’ ambassador in this cashless Brit cash-in on The Expendables . 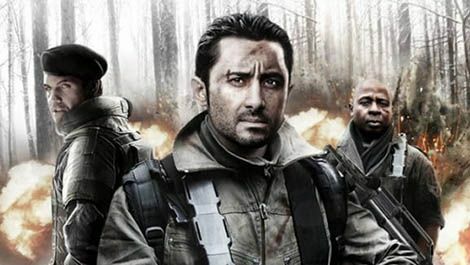 With an anaemic-looking cast commando-rolling their way through the empty woods, it looks like footage from a team-building weekend where the whole office gets to star in their own action movie. Gunshots sound like they were sampled off a videogame, muzzle flashes make the whole screen flash white and they somehow managed to convince Billy Zane to briefly appear as an exasperated American colonel. He’d have been better off in panto.